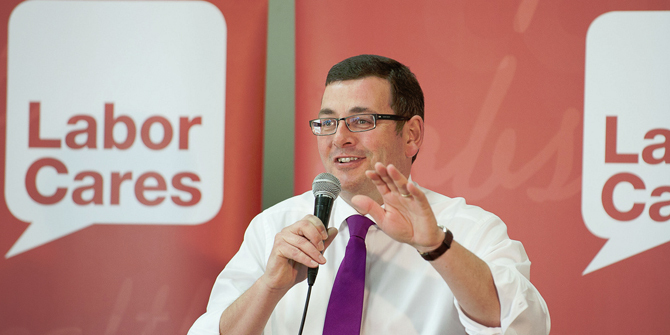 The Daniel Andrews’ government’s commitment to reinstate a Victorian Renewable Energy Target (VRET) has won the endorsement of The Standard newspaper. There’s a growing chorus of support for a VRET. The scheme can secure investment and create good jobs for communities in the wake of the Abbott government’s savage 20 per cent cut to the national RET. 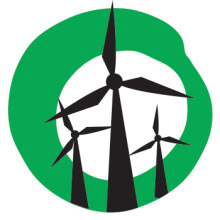 The Standard is based in Warrnambool, south-west Victoria, where wind energy has been a major driver of economic development over the last decade. (It’s also former Premier Denis Napthine’s local paper). Friends of the Earth analysis published in March finds wind energy has created jobs and delivered investment for south west Victorian communities, while making a strong contribution to cutting Australia’s carbon emissions. Created 685 construction jobs and 71 ongoing jobs in operations and maintenances. Stimulated $17.1 million worth of flow-on economic benefit to the region. Cut greenhouse gas emissions by 2 million tones since 2007, when the Yambuk Wind Farm began operating. FED up with the lack of action from the Abbott government on renewable energy targets, a frustrated Victoria government has pleaded to be allowed to go it alone. And that’s great news for south-west Victoria. Victoria wants the federal government to give it the go ahead to establish its own system which would allow it to stimulate investment and interest in renewables. If it happened, projects earmarked for the Warrnambool and Port Fairy areas as well as some in Ballarat and Ararat would finally get off the ground instead of languishing in a pit of uncertainty. Victoria is unhappy with the federal government’s decision attempt to slash the renewable energy target, which requires that 41,000 gigawatt hours of Australia’s energy comes from renewable sources by 2020, for standing in the way of jobs and investment. And with this region set to gain the most from a change of heart on renewables, the Victorian push is welcome and timely. Victoria’s energy minister Lily D’Ambrosio said her government wanted a 2020 renewables target of at least 20 per cent which would generate business confidence and kickstart billions of dollars in investment. For example if the target was 20 per cent it would create about 1400 construction jobs, many of them on our own doorstep. Australia is lagging badly as other countries see the sense, both for economic and environmental reasons, in creating the right conditions for renewable energy to thrive. Lack of action and stalling tactics over the RET has resulted in investment in renewables in Australia slumping by 90 per cent. More than 2300 jobs in the renewable energy sector have been lost in the past two years, Australian Bureau of Statistics figures show. Victoria, led by the south-west of the state, should be a leader of clean energy in Australia. Instead, we are nowhere to be seen. What’s the problem? Surely it is time for Australia to breathe life into this new industry. Friends of the Earth have long championed the need for a Victorian Renewable Energy Target and welcome the Andrew government’s leadership. The ACT has a target of 90 per cent renewables by 2020. South Australia is aiming for 50 per cent by 2025. Queensland, 50 per cent by 2030. And Victoria will once again have its own target. Labor introduced the previous Victorian Renewable Energy Target in the mid-2000s. The scheme unleashed billions of dollars of investment and made the state a national leader on renewable energy. It’s for this reason VRET 2.0 can gain cross party support in the state. The Greens already support restoring a VRET. And opposition leader Matthew Guy is modernising the Liberal party’s energy platform and has established, for the first time, a shadow minister for renewable energy. The benefits of state leadership on renewable energy is clear to the community. Who will be next to join the emerging alliance for a Victorian Renewable Energy Target? Wind farms are corrupt because they cause health issues and that is a FACT, also they are to expensive for the citizens of the great nation. No body in the wind industry will face up to the fact that they cause health problems which are real.